So sorry for neglecting the blog this past week, I finally made the long journey from WA to SD and have been getting settled in my new apartment. My second year of Law School starts on Monday so I might have to be away a little more just until I get into the groove of things. Anyway here are the new books on my shelf, make sure to leave your link in the comments so I can see what you got this week! 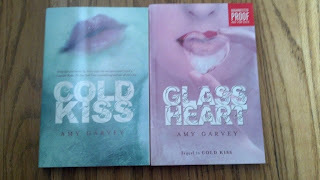 Cold Kiss & Glass Heart by Amy Garvey (I already read and reviewed Cold Kiss a while back and I'm excited to read an ARC copy of the sequel) Thanks Harper Teen! 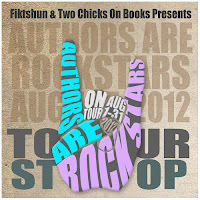 Also check out my stop on the Author's Are Rockstars blog tour and enter to win a copy of Glitch by Heather Anastasiu! oooh I'm just about to start Onyx!! :D Can't wait to start it! and yeay, both cold kiss and glass heart! Sam Cruz's Infallible Guide sounds fun, and I've heard good things about Onyx. Lovely haul. I got The Star Child this week too and I'm soo excited to read it! x] After Dark sounds like a great read too and I've been meaning to start Jennifer's Lux series. Sam Cruz's Guide looks really good and I really want to read Cold Kiss and Glass HEart :) Enjoy! I'm glad the move went well and good luck for returning to school! 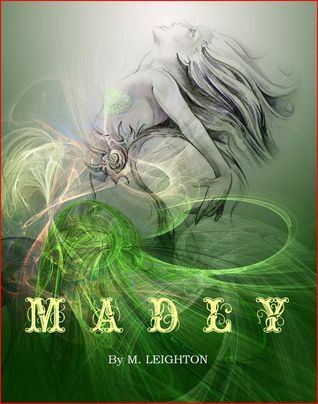 I love the cover of Madly, looks great! 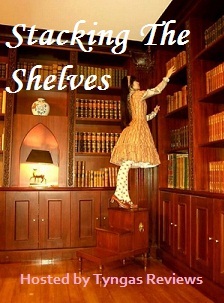 Hey I just discovered your blog thanks to Stacking the shelves meme and i'm a new follower now :). That's a great haul. You got Onyx :D ! I've read it this week and LOVED it ! I just love the Lux series. If you haven't you should also read Jennifer L. Armentrout other series The Covenant it's awesome as well. Oh wow your blog tour books look awesome! Happy Reading! Wow, I've been seeing ONYX all over the place! I hope it's as good as everyone says. And I cannot wait to read COLD KISS and GLASS HEART! Happy reading! And thanks for stopping by! Oh em gee, the guide to getting girls! Can't wait to hear what you think of it, Emily! And everyone's falling head over heels for Onyx O_O I still have to read Obsidian... Great haul this week, happy reading to you! Cold Kiss and Glass Heart sound interesting. Hope you enjoy all your books and have a great week! I keep meaning to get Cold Kiss. Hope you enjoy all your books.